The power of music to gather, evoke emotion and send a message is undeniable. The Telluride Blues & Brews Festival, along with our non-profit arm the Telluride Blues Society, is committed to partnering with and supporting causes and nonprofits local and national. We’ve teamed up with the Music Maker Relief Foundation, Leave No Trace, Telluride’s One-to-One Mentoring Program, Telluride AIDS Benefit, the Telluride Adaptive Sports Program and the Telluride Blues Society to help with their causes while offering meaningful festival programming for attendees. Music Maker Relief Foundation, a 501(c)(3) non-profit organization, was founded to preserve the musical traditions of the South by directly supporting the musicians who make it, ensuring their voices will not be silenced by poverty and time. Music Maker gives future generations access to their heritage through documentation and performance programs that build knowledge and appreciation of America’s musical traditions. When festival organizer Steve Gumble from SBG Productions, met Music Makers’ Tim Duffy, the pair bonded over a shared appreciation of these musical traditions and of the Foundation’s mission. Gumble and Duffy first teamed up in 2015 to bring artists from the Music Maker roster to Telluride. These artists deliver genuine blues, gospel, soul sets giving festival attendees a rare look at traditional American music culture. 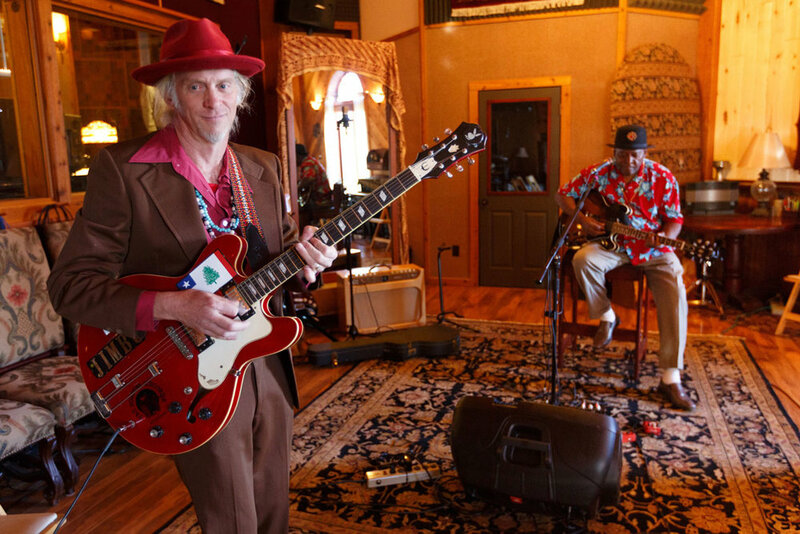 For years, the festival has hosted many artists from the Music Maker roster including Leo “Bud” Welch, Little Freddie King, The Glorifying Vines Sisters, Pee Wee Hayes, Christone “Kingfish” Ingram and many more. Join us for an unparalleled musical, cultural and culinary experience! 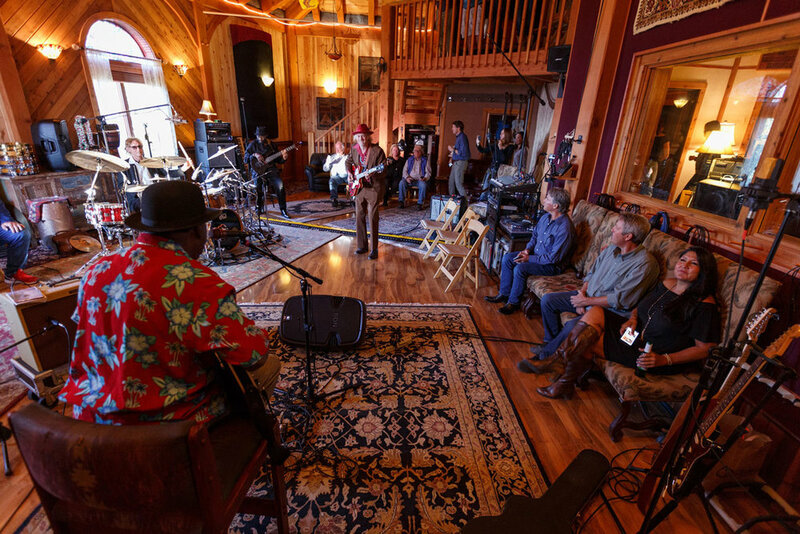 On Thursday, September 12th, the Telluride Blues Society is hosting an evening of live music, dinner and a special studio recording with a festival artist to support the Music Maker Relief Foundation. This fundraising event will be held at the intimate, mountainside recording studio, Studio In The Clouds, located in the towering San Juan Mountains surrounding Telluride. This event gives attendees a rare opportunity to go behind the scenes and get an exclusive, inside look at the recording process while watching artists create a record. Attendees will take home a one-of-a-kind copy of the recording and a signed souvenir to commemorate the experience. Transportation to and from the event (Shuttles depart Telluride at 5:00 pm and return to Telluride at approximately 10:00 pm). Tickets for the Fundraiser Dinner will go on sale March 1st at 10:00 am (MT). $500 of each package benefits the Music Maker Relief Foundation and is tax-deductible as a charitable contribution. Gala VIP Fundraiser Dinner takes place on Thursday, September 12. Please note - Fundraiser Tickets are very limited and available while supplies last. Throughout the festival, the new Music Maker Drink House at the Blues Stage presented by Telluride Express will feature Music Maker art, listening stations with vinyl records to sample, artist meet-and-greets, a photo booth and more. Make sure to stop by, meet the folks from the Music Maker Reflief Foundation and show your support to help them reach their fundraising goal! The Telluride One on One program empowers youth in San Miguel County to achieve their social, emotional and academic potential through professionally supported mentor relationships. 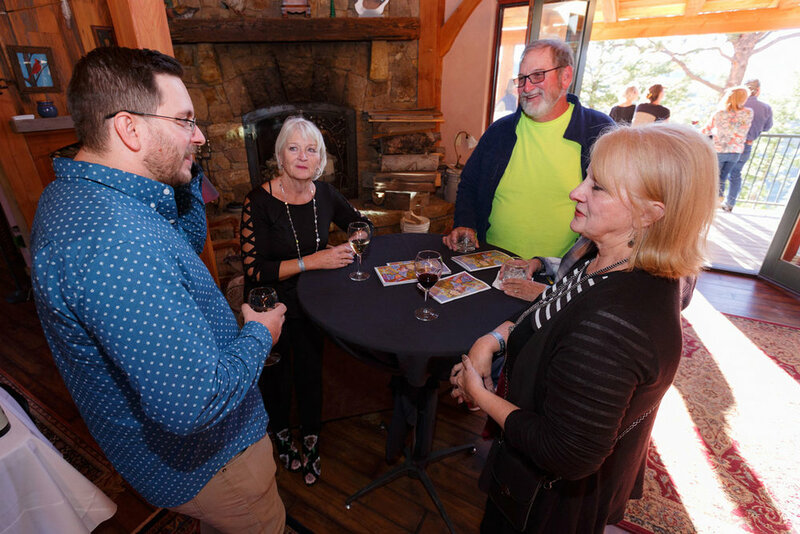 The Telluride Aids Benefit Is a non-profit organization whose mission is to fight HIV/AIDS by heightening global and local awareness, as well as generating financial support for educational program and client care. Raffle tickets will be at available by the main festival entrance and cost $10 for one ticket or $20 for three tickets. Blisters & Brews is a 5k Fundraiser Race held on the morning of Saturday, September 15th, giving Festival patrons the opportunity to exercise before the Festival. The 5k Race, sponsored by BootDoctors™ Paragon Outdoors and presented by Telluride Blues Society, will raise money for the Telluride Adaptive Sports Program in remembrance of dear festival friend Felix Snow. 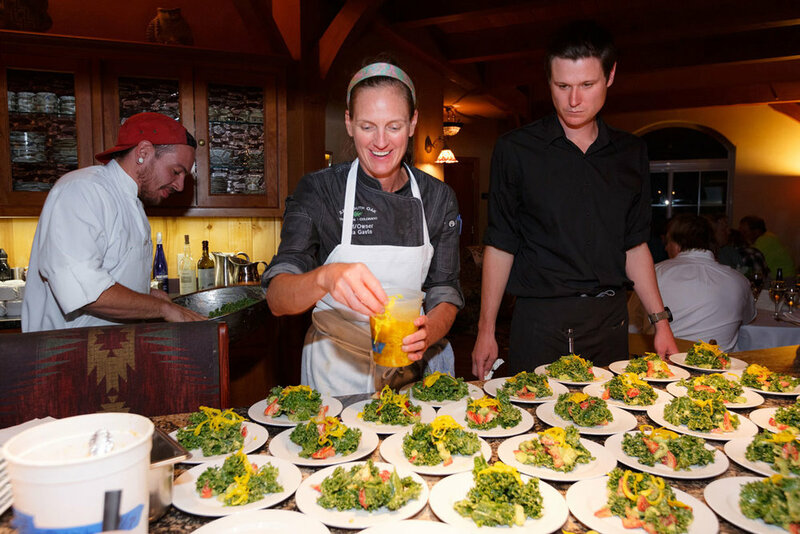 Through registration fees, donations and the generous support of the Telluride community, we were honored to be able to raise over $5,000 for the Telluride Adaptive Sports Program. We're looking forward to another amazing year of support. 5k registration is $40 in advance and $45 on-site with all race proceeds benefiting the Telluride Adaptive Sports Program. Don't want to run, but want to support? Non-athletic support donations are also available. To learn more about the program, click below. The member-driven Leave No Trace Center for Outdoor Ethics protects the outdoors by teaching people to enjoy it responsibly. It is the most widely accepted outdoor ethics program used on public lands. Through targeted education, research and outreach, the Center ensures the long-term health of our natural world. Festival attendees can get involved with Leave No Trace by buying a Festival Green Ticket ($5), stopping by the Leave No Trace booth and purchasing a membership or getting involved with Coolest & Cleanest Campsite Challenge and Junior Festivarian Program. The “Making My Blues Green” Coolest & Cleanest Campsite Challenge gives campers a chance to green the campground-scene, participate in a fun theme contest, while signing-up for a chance to win festival swag and passes. The Junior Festivarian Challenge gives kids a chance to complete five sustainability focused activities for a chance to win Leave No Trace swag. Sign up for both challenges at the Leave No Trace Booth. Sponsor festivals and performances where aspects of blues & jazz music and culture can be explored, learned and developed to a higher level. Sponsor the Telluride Blues Challenge, an annual competition providing talented up-and-coming artists from the blues genre with an opportunity to advance their professional career. To sponsor, promote and support the Telluride Student All-Stars Jazz Ensemble. A week-long residency program intended to inspire and guide young musicians who are poised to pursue their education in jazz and are at the level to begin their professional careers. Provide opportunities to scholarships to graduating students of Telluride High School and Telluride Mountain School in pursuit of music studies in higher education.